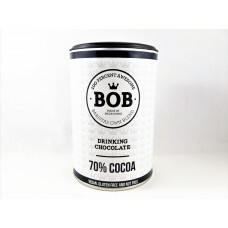 The BOB (Barista's Own Blend) 70% dark drinking chocolate combines Madagascan cocoa liquor with Cote D’Ivoire cocoa and organic coconut blossom sugar, to deliver a unique note to a decadently dark premium chocolate drink. 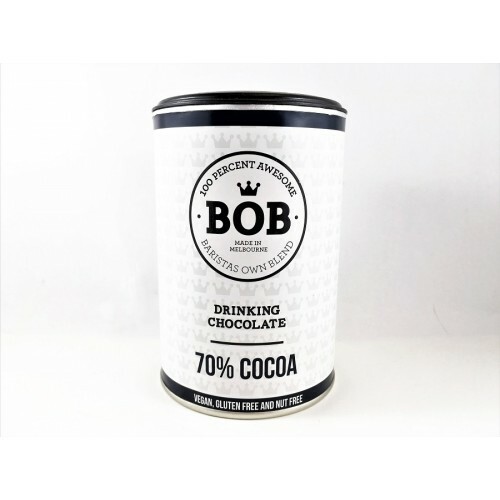 A must for dark chocolate connoisseurs as it's high in antioxidants and low GI. 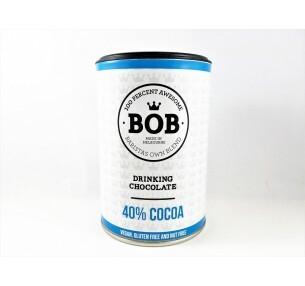 It's also Vegan-friendly, Gluten free and Nut free. 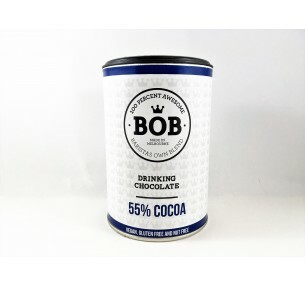 The BOB (Barista's Own Blend) 55% cocoa drinking chocolate combines the deep, earthy notes of Co..
BOB (Barista's Own Blend) 40% cocoa drinking chocolate combines the perfect mix of cocoa beans w..